Irina Carlota (Lotti) Silber received her PhD from NYU and is currently an Associate Professor of Anthropology at the City College of New York (CCNY) in the Department of Interdisciplinary Arts and Sciences, which is housed at the Center for Worker Education. She is also the Director of the MA Program in the Study of the Americas. She is the recipient of various dissertation fellowships (i.e. 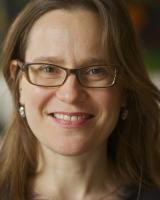 Fulbright Hays, IAF, OAS, Charlotte Newcombe) and postdoctoral fellowships (Rockefeller Fellow at the Virginia Foundation for the Humanities, Rutgers Center for Historical Analysis, Rockefeller Fellow at Berkeley –declined) and has most recently received several CUNY wide grants. Lotti has published her work in Gender & History, Women’s Studies Quarterly, and in peer reviewed volumes published by Duke University Press, Rutgers University Press, University of Pittsburgh Press, and PAIDOS (Argentina). Her book, Everyday Revolutionaries: Gender, Violence and Disillusionment in Postwar El Salvador is recently published by Rutgers University Press in their Genocide, Political Violence, and Human Rights Series. She currently has two projects underway, one that continues her long interest in the entanglements of war and displacement through a comparative study of Central American migration in Europe, and a second project entitled The Texture of Illness which explores childhood genetic difference.